Home / Opinion / Can energy drive regional geopolitics? A World Bank Study states that “trust building around electricity trading is possible even between countries with a history of conflict”. Better economic relations and interdependence would strengthen constituencies, and possibly create a new set of positive stakeholders. Commercial and economic logic would be able to marginalise spoilers and minimise the impact of adverse political developments. Energy demand is steadily growing and a protracted supply deficit could even lead to instability and conflict. To overcome a power deficit, the government of Pakistan has announced a power policy that focuses on encouraging private investment. It aims to increase the installed energy capacity to 48,284 MW in 2025. However, a rising gap will emerge between installed capacity and peak demand from 1194 MW in 2002 to 10174 MW in 2025. Peak energy shortages will remain in all possible scenarios until at least 2020. Furthermore, Pakistan has an extremely high energy import cost – petroleum alone stands at $6 billion per year. India’s own domestic requirement makes the cross-border power trading crucial. NITI Aayog (2015) projected that demand for electricity will grow almost three-fold from 762 TWh in 2012 to 2239 TWh by 2030. Coal with 52 per cent share will continue to be the dominant source in the primary energy mix followed by oil at 29 per cent and gas at eight per cent. India’s levels of import dependence on fossil fuels will rise from 32 per cent in 2012 to 45 per cent of the primary energy supply by 2030. The dependence on oil imports at over 80 per cent will be the highest followed by over 59 per cent on coal imports and almost 40 per cent dependence on gas imports. Huge and significant infrastructure already exists in both countries. In India, the inter-regional exchange capacity was expected to be 75000MW by 2017; the transmission infrastructure includes a 220kV transmission line (150000ckm), a 400kV line (125000ckm), a HVDC 800/600kV line (3600ckm) and a HVDC 500kV line (7400 ckm). In Pakistan, the transmission network includes 5,197 kilometers of 500kV transmission lines and 9,814 kilometers of 220kV lines. Massive reforms in the electricity, gas, petroleum, and coal sectors took place within the last two decades. Unbundled functions of various utilities have led to a huge expansion of the generation, transmission and distribution. The focus has been on deepening and sustaining, and on distributing the benefits of these reforms to all socio-economic categories and geographical locations. Pakistan has a well laid-out commercial framework for IPPs; fiscal concessions exist that include 100 per cent foreign ownership, maximum 80 per cent equity contribution and concessionary import duty. There are several studies that have stressed the benefits of India-Pakistan energy exchanges. The annual savings for Pakistan from the import of 500 MW of power from India as compared to the prevailing rate of power in Pakistan would be INR 558 crore a year and as compared to the rate of supply through diesel it would be INR 4653 crore a year. Another study shows that a short-term 250 MW transfer at 220kV (45 km) and medium/long-term 400 kV transfer of 500MW will cost $50 million and 150 million respectively. The annualised cost will be $6 million and $18 million respectively, and the total annual benefits (in terms of fuel cost savings) will be $335 million and $491 million respectively. The PTC India model mentions that the interconnections would be between Amritsar and Lahore and between Mundra and Karachi. The World Bank study states that for Pakistan to import 500 MW power from India, there can be four transmission interconnections in different locations: (i) a back-to-back convertor station in Pakistan; (ii) from Balachak to Pakistan- India Border; (iii) from convertor station to the Pakistan-India border and (iv) from Ghazi road to the convertor station. Another study done by the Jawaharlal Nehru University in New Delhi and the Pakistan Institute of Development Economics, Islamabad shows how a double circuit twinbundled 220kV transmission from designated sub-stations in Dinanath (Lahore) and Patti (Amritsar) could bring instant cross border transfers. 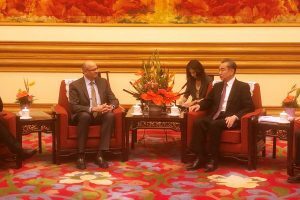 Financial institutions including the newly set up Asian Infrastructure Investment Bank (AIIB) and other established multilateral and bilateral agencies are keen to invest. China and Japan are emerging as new actors. For instance, in the $46-billion ($62 billion in 2018) CPEC project, out of the 51 agreements, 20 are related to energy. Some groundbreaking has already been done for five projects worth 1,850 MW. The possibility of India opening and extending the market for energy produced in various projects under the CPEC and also under Central Asia South Asia (CASA), both as an importer and as a transit country to Bangladesh, Myanmar and beyond, cannot be ruled out. India’s proposed power import from Pakistan in 1998 was an impressive step. Then Pakistan offered the sale of surplus power to India. There had been intensive negotiations between the Power Grid Corporation of India Limited and the Water and Power Development Authority that leads various independent power producers in Pakistan. Feasibility of export of 300-1000 MW of power to India was studied and even the delivery points were identified. System studies were also carried out under various loading conditions, and technical and commercial aspects were considered and a draft of the Interconnection and Operating protocol was also produced. The agreement was discussed on 1 February 1999 in which tariff stood out to be the major stumbling block wherein WAPDA offered US 7.2 cents/KWH while the Indian side offered US 2.25 cents. The negotiations broke off mostly due to this critical issue. The inter-governmental level talks are again renewed, however, this time it is for the supply of electricity to Pakistan to the extent of 1000 MW of power. Like in the past the Memorandum of Understanding had been proposed between the two Power Ministries in March 2014. 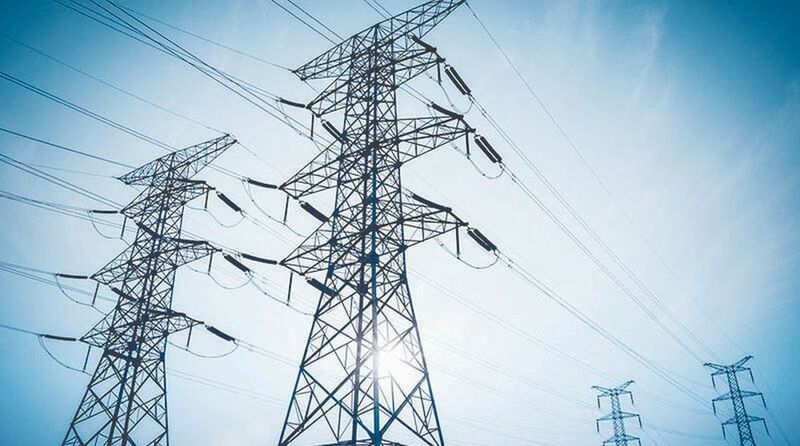 Besides a proposal for the formation of a Joint Technical Committee for a feasibility study of the transmission line, this Committee would make a feasibility study for a HVDC line (for the transfer of 500 MW) between Amritsar and Lahore (around 40 KMs). This will take around 3 years and a Rs 400 Crore investment which is likely to be financed by the World Bank and USAID. Indian private investors including the Adani Group have also started showing deeper interest. For a meaningful exchange, some critical interventions are required. These include the formulation of a comprehensive policy and an institutional framework, including an intergovernmental agreement on bilateral and regional power trade and a power trade coordination committee. This has to be supplemented by developing the grid interconnection infrastructure and a grid code through a building block approach, including physical power interconnection, and the harmonisation of transmission planning, design, and operational practices. Besides a cross-border investment, a mutually agreeable tariff structure for bilateral electricity trade, the cost of the transmission line and its sharing mechanism; the payment mechanism, and most importantly the power supply sustainability and its geo-political immunisation are very crucial. Only these will avert the risk of ‘trade and fade’.